On Thursday, December 14th, it was held in Recife the 2nd Workshop of the Fernando de Noronha Integration Project, which aims at taking electricity and broadband internet from the continent to the island through submarine cables. The event happened at the Human Development Centre of the Companhia Hidrelétrica do São Francisco (Chesf), and was attended by the secretary of Professional and Technological Education of the Ministry of Education, Eline Nascimento, the director of the Science, Technology and Innovation Department of the Ministry of Defence, General Decílio Sales, Chesf Chief Operating Officer, João Henrique Franklin, the secretary of Sciences, Technology and Innovation of Pernambuco, Lucia Melo, and RNP’s director-general, Nelson Simões. The seminar continued the 1st Workshop, held on August 4th. The director of Sciences, Technology and Innovation of the Ministry of Defence, General Decílio Sales, presented technical information on the project by showing the importance of providing connectivity to the island., which has internet access today through satellite, and to provide source of energy different from diesel. Currently, Fernando de Noronha uses 5.4 million litres of diesel oil each year through thermoelectric conversion. The volume is the equivalent to 4 million tons of carbon gas (CO2) launched in the atmosphere. In addition to reduce the environmental impact, the Defence representative emphasized Fernando de Noronha potential for research and development projects. “This communication structure can also aggregate sensing, for environmental monitoring, for example, once students need data to carry out their researches. It is something very important to the country and to the Defence”, said General Decílio Sales. As challenges to be overcome, he pointed out the sea depth from the continent to Noronha, which is over 4 km. The secretary of Sciences, Technology and Innovation of Pernambuco, Lucia Melo, highlighted the strategic position of the archipelago to the South Atlantic, with new international connections, as to Africa, and the possibilities raised by the partnership of communications with the electricity sector, started in the Northeast region by Chesf. “The broadband structure is the strategic axis for the digital transition that is already taking place, with exclusion potential for those who do not keep up with the process”, warned the secretary. 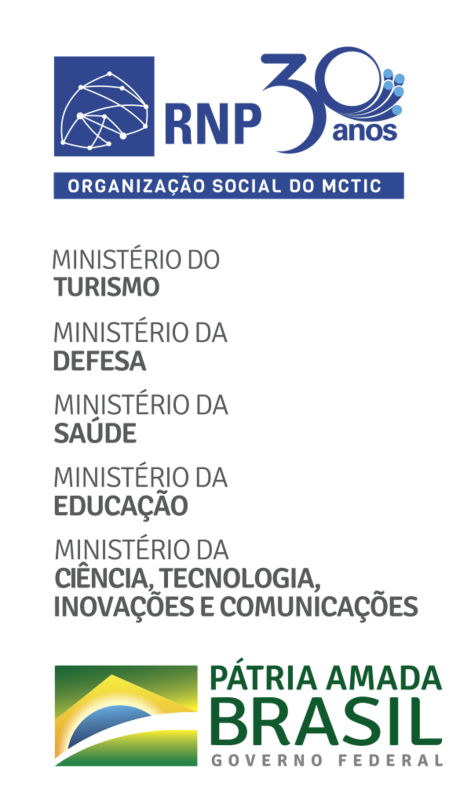 As for the secretary of Professional and Technological Education of the MEC, Eline Nascimento, she mentioned that the connection to Fernando de Noronha will directly benefit the federal institutes in its three dimensions: education, research and extension. “Improving communication to Fernando de Noronha may lead to the creation of a reference research centre in the island., and foster projects that benefit the entire community”, said Eline. The next steps for the Fernando de Noronha Integrated project are the technical feasibility study and the environmental licensing, and the preparation of a memorandum of understanding between the ministries of Education, Defence, and Mines and Energy, with the participation of RNP, the Government of Pernambuco, and Chesf, among other partners.